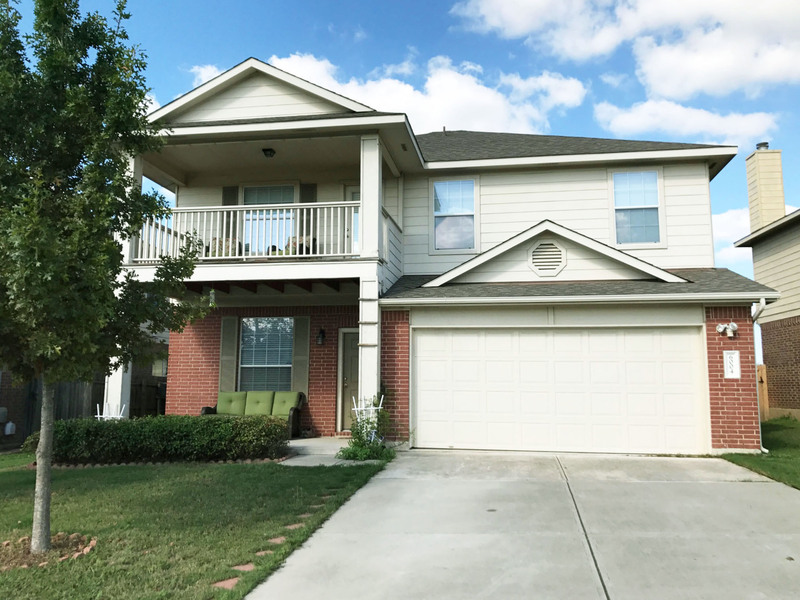 Another Great Home Leased by Premiere Team Real Estate - Spacious 3 bed/2.5 bath home in Stirling Bridge, w/upgraded flooring & brand new appliances. Home features formal dining & living open to kitchen floor plan, great for entertaining. Second living/loft/office area has built-in shelving & leads to covered balcony. Great for relaxing w/a cup of coffee in the morning. Spacious master w/tres ceiling, double vanity, jetted tub, & big walk-in closet. Large backyard w/big cement porch for relaxing & entertaining, and brand new storage shed. Another great home for lease in Stirling Bridge, Austin, Texas.